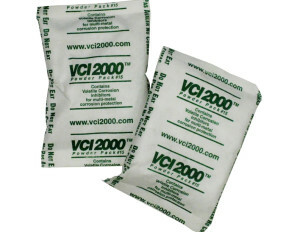 Each VCI Emitter pack #15 contains a Vapor Corrosion Inhibitor (VCI) powder which protects ferrous and non-ferrous metals against corrosion, oxidation, tarnish and discoloration. 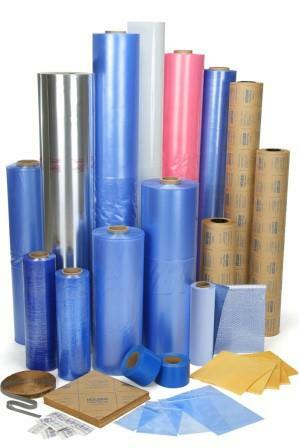 Provides an extremely efficient method for the dry preservation of metal parts within an enclosed space. The VCI vaporizes and then adsorbs on all metal surfaces, reaching even the most difficult to reach recesses and interior voids. VCI Emitter pack #15 protects up to 15 cubic foot (425 liters) for up to 24 months. 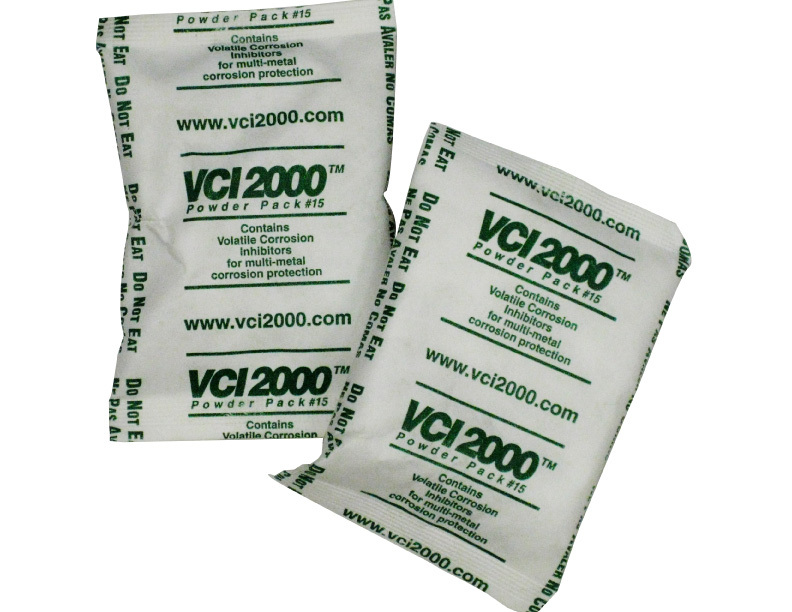 VCI Emitter pack # 15 is designed to protect metals inside an enclosed container such as a cardboard box, crate, plastic or metal bin, poly bag or envelope. Do not open the VCI Emitter pack. Simply place the pouch in the container with the parts to be protected and close the container.